It’s been a record-setting year for women’s disc golf. The Women’s Global Event back in May saw 2,092 competitors in dozens of tournaments worldwide, passing the previous record of 1,616 participants set in 2016. The largest FPO field in PDGA Professional World Championship history competed two weeks ago at Smugglers’ Notch. And another record will be set this week at the 20th annual United States Women’s Disc Golf Championship as 164 players will compete for a major title at the Burchfield Park complex in Lansing, Michigan. The USWDGC started as the “Womens National Championships” in 1999. Only 21 players competed with Juliana Korver taking down the win and $225 prize. For the first three years of the event, USWDGC was held on a temporary course near the United States Disc Golf Championship in Rock Hill. Over the following six years, the event was held in Peoria, Illinois and hosted by the legendary Mom and Old Man Wallis. Starting in 2008, the tournament began rotating to different locations and has seen participation numbers grow in accordance, especially in recent years. Last year’s USWDGC fielded 156 players in 15 different divisions. Speaking of a record-setting, Paige Pierce achieved the highest player rating in history for a female at 979 in May of this year. Pierce won the USWDGC in 2017, but will face a larger field this year with 45 Open Women competitors — yes, another record. The winner of USWDGC is granted an invitation to USDGC, and we know Pierce has been motivated to earn her ticket to Rock Hill. Notable challengers to Pierce’s quest include recently crowned 2018 World Champion Paige Bjerkaas, who will be competing for her second Major title in the span of three weeks. Sarah Hokom, who won USWDGC in 2016, has consistently been one of the top three female golfers this season, winning eight of her last 14 events, including the National Tour event in Delaware last weekend. Former USWDGC champion Catrina Allen (2012) was tied with Lisa Fajkus last year for the lead at USWDGC after one round before the two ultimately tied for fourth. Jessica Weese has had a very good season, winning the Ledgestone Open, and last year came in second at this event. Six international players will be competing including Kristin Tattar who averaged 959-rated golf over this last weekend to finish in second place at the Delaware Disc Golf Challenge. The field also includes many up-and-coming players such as Rebecca Cox. Cox took the lead after one round at Worlds and never fell off lead card. There will also be 22 women competing in the Pro Masters divisions, including disc golf hall of famer Elaine King. Burchfield Park boasts two courses, Renegades Trail (formerly known as Devil’s Den) and Rivers Edge, that will be using four different layouts for the A pool, and two layouts for the B pool. The A pool consists of all pro divisions, FA40, and FJ15, and will face both long and short pin placements on the two courses. The B pool will play only the short pin positions. Rivers Edge – Long (Open Women – Friday): 7,472-foot par 70. Short (Open Women – Saturday PM): 5,838-foot par 63. Rivers Edge is the more technical course of the two. Renegades Trail – Long (Open Women – Sunday): 7,600-foot par 66. Short (Open Women – Saturday AM): 6,182-foot par 64. 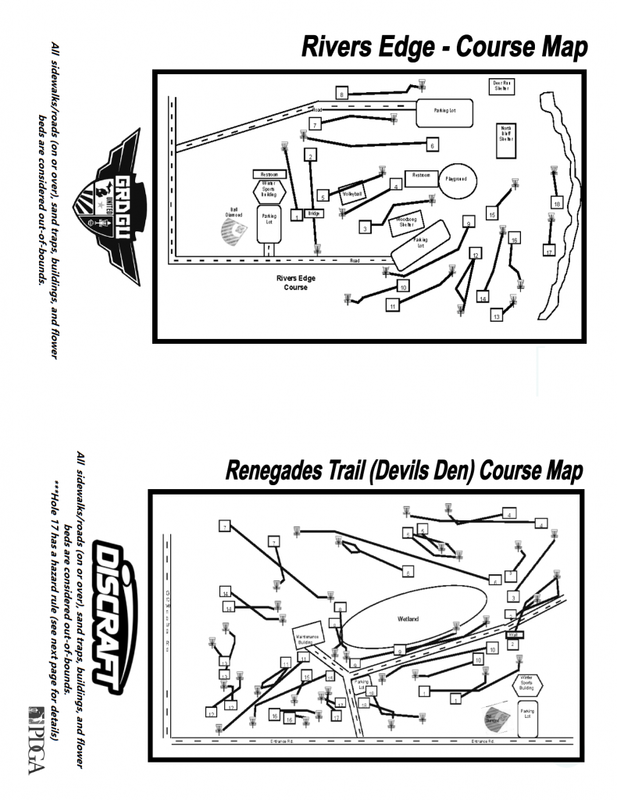 The Renegades Trail course is the more open and was installed in 2011. “Renegade is a beautiful course and well maintained. There is a great use of the land and it is fairly open, although there are places where you must hit lines. 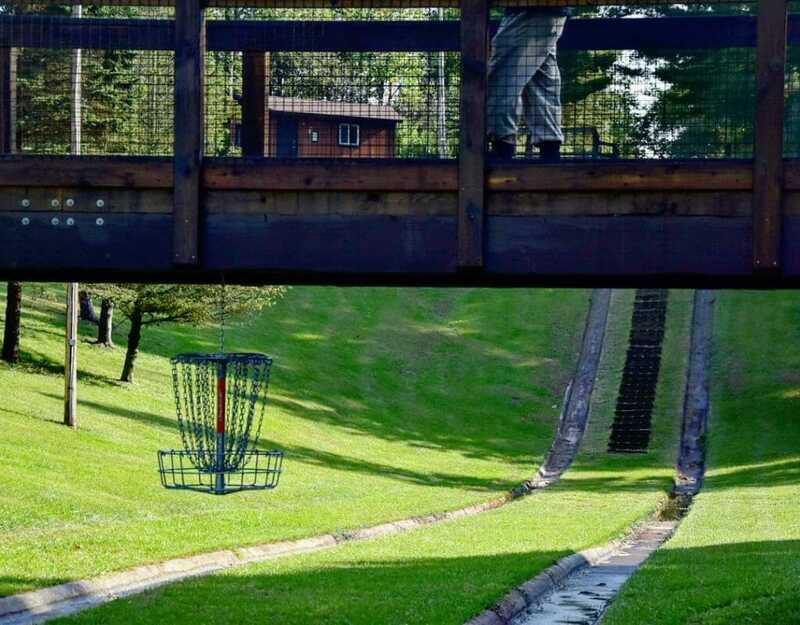 The course has both sunken and raised baskets, which is a neat addition,” described Steve Meyer, father of Ava Meyer, the youngest USWDGC competitor. “Renegades Trail, or Devil’s Den, plays more similarly to a ball golf course where there’s sand traps and O.B. It’s really cool, the final hole is the signature hole with an elevated basket and a fountain,” said Meg Fittro. The festivities will begin on Thursday with the second annual Dynamic Doubles, an unsanctioned tournament hosted by Pierce and Zoe Andyke. Last year’s inaugural doubles event saw Andyke and Valarie Jenkins take down the win with some epic costumes and putting. The USWDGC competition begins on Friday afternoon with all rounds being shotgun starts. Saturday, competitors will play two rounds followed, by a final round on Sunday. After the USWDGC competition concludes Sunday morning, the top four FPO players will participate in a skins match, with all proceeds going to the Disc Golf Foundation. Jomez Productions will be on hand covering all four rounds with next day releases and featuring Lisa Fajkus and Madison Walker on commentary. Terry Miller, The Disc Golf Guy, will also be filming, including a card of the doubles tournament. Live scoring will be found on the PDGA website. Ultiworld Disc Golf will be covering USWDGC all weekend. The main weather story will be the potentially adverse conditions during round one. A cold front is expected to move through the region during the day on Friday, bringing a chance of showers and gusty winds to the region. High pressure should move into place for the weekend rounds, leading to nicer conditions. 1 PM: 75° with a chance of showers. Southwest winds around 20 mph will transition out of the west and northwest through the afternoon. Gusts up to 35 mph may be possible. 9 AM: 49° with a north wind between 5 and 10 mph. 2 PM: 61° with an east wind around 5 mph. 8 AM: 46° with relatively calm wind conditions. Becca Kephart is a contributor at Ultiworld Disc Golf, as well as a professional musician, amateur disc golfer and member of Team DZ Discs. 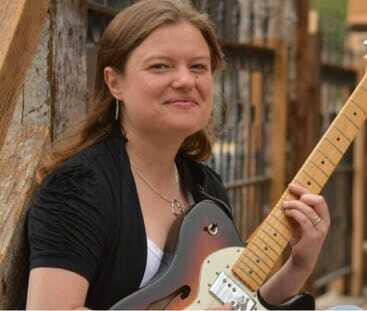 She is also the host and producer of the Ladies of the Chains disc golf podcast. Becca can be reached through the show's website www.ladiesofthechains.com. 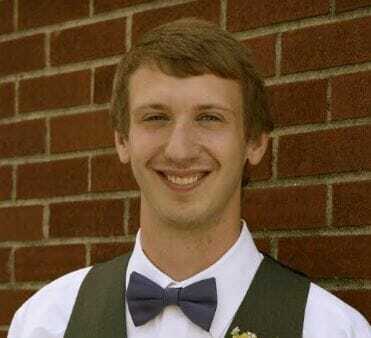 Jacob Wilkins is a disc golfer from Bowling Green, Kentucky who has a bachelor of science degree in meteorology from Western Kentucky University. You can follow him on Twitter and Instagram for a solid mixture of disc golf and weather. Comments on "USWDGC Preview: Top Women Travel To Michigan For Women’s Major, USDGC Berth"